Governor Dennis Daugaard met with a group of SDHBA members at the State Capitol Building February 5, 2014 to discuss technical education and workforce development. 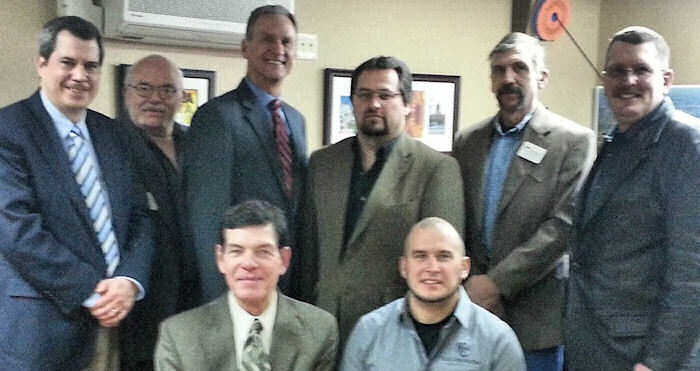 Pictured are Todd Anawski, Jim Tolley, Governor Daugaard, Todd Boots, Frank Krause, President Tim Frohreich, and kneeling, Executive Vice President Dwight Neuharth, and Nick Kisch. US Representative Noem Receives $2000 It’s a Wrap!